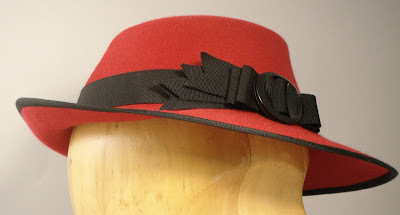 Just out, a brand new hat style. 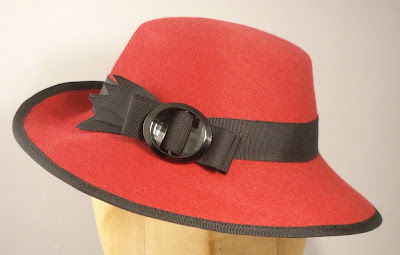 With an oval, fedora-like brim that flips up in back and dips down over one-eye. 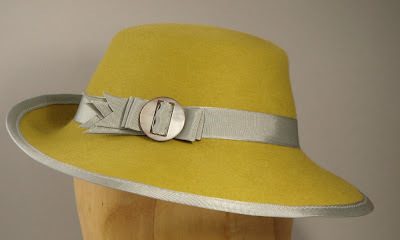 Can be made in lots of different color combinations. 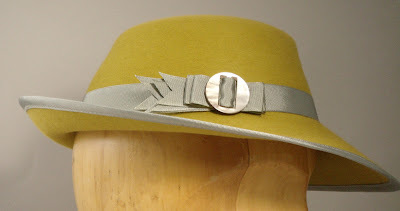 Listed now on Etsy. For more photos, see my flickr page.